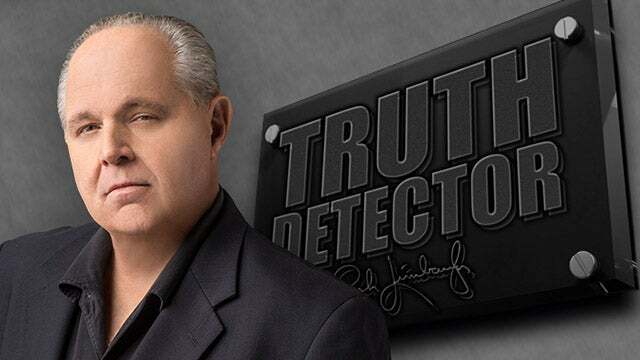 RUSH: The answer to the Rubio question is really so simple. And you know what? I hadn’t even thought of this until I got the question, which is why I was so appreciative of the question. It’s a good question. Well, it’s not that I hadn’t thought of it. It had registered that this doesn’t make any sense. Rubio’s trying to reach out to these people, and even after the CNN town hall where he got savaged he continued to try to reach out to ’em. And they got meaner, more mean-spirited, more extreme, more hate-filled toward Rubio. You know what the number of kids — there’s been an actual survey of the march on Saturday in Washington, 10% were kids. Most of them were women, most of them were from the same women’s march that was upset Hillary didn’t win in the immediate aftermath of the election. Ten percent of the crowd was kids. We’re being lied to and misled daily about this whole thing. But it’s not just Hogg and the rest of the kids that aren’t compromising and are mean-spirited to Rubio. It’s everybody. And the reason is very simple. They don’t want any half measures. They don’t want a deal that leaves the NRA in place. They don’t want a deal that doesn’t somehow limit the Second Amendment. They’re not looking for compromise, is the point. So to strike a deal with Rubio, they’re not interested in public opinion. They’re not interested in having people think that they’re temperate, that they’re mainstream, that they’re centrist, that they’re moderates. They are all-in for — that’s why Stevens, Justice John Paul Stevens jumping into this fray is actually a godsend for us. Because there is no way that anywhere near a majority in this country want to get rid of the Second Amendment, and there isn’t gonna be. They are never gonna win that. It’s never gonna be a majority issue. For one thing, there are a slew of Democrats who love their guns. There are a slew of average, ordinary American Democrats who are members of the NRA. But the thing to learn here, folks, the left is not about compromise on these things that really matter to them. And getting rid of every gun held by private citizens is in the top five of all-time things they want. To compromise with Rubio would send the entire wrong signal. And no, it would not soften us up. It would simply slow them down in their own view. They’re feeling their oats right now. They’re flexing their muscles. They think they’re on a roll. They think they’re on the verge of confiscating your guns just like they seemingly overnight secured gay marriage as a right in all 50 states. But gay marriage and the Second Amendment are two totally different things, and they are nowhere near the majority. But the point is, they are now publicly, without me having to tell you or anybody else, they are demonstrating who they really are, and not just on this issue. They’re demonstrating who they really are on immigration. For the longest time they’ve gotten away with convincing a lot of people that it’s not about voter registration, that it’s not about having more people vote Democrat, that it’s not about having more dependents on federal government. It’s about compassion. This debate ensuing here on the census question about requiring everybody to record their citizenship status, look at how they’re having a cow over that. We’re flushing ’em out! We’re flushing them out. No more camouflage. No more masks. They are revealing themselves for who they really are. I, for one, am confident they are not the majority. I know they’re not on the Second Amendment. And I know they’re not on immigration. They certainly are not on amnesty. I’ll tell you another reason they’re bugged, why they want to oppose this and why there will be lawsuits galore on this citizenship question. They don’t want you to know how many illegals are actually in the country. Have you ever wondered why in the early 2000s the number was 20 million illegals? ‘Cause it was. You could look it up. That was the number we would bandy about daily when talking about amnesty. Then one day all of a sudden it became 12 million. And nobody ever said why. Nobody ever explained what happened to the eight million. Well, it isn’t 12 million. It’s at least 20, and it may be 30 million, and they do not want that discovered, either. If these average, ordinary Americans who can be successfully heartstring tugged into believing that illegal immigration and amnesty is just about compassion, if they learn there are 25 to 30 million illegals here, that will change the calculus overnight. So the left is being forced here into a total reveal while at the same time trying to keep certain aspects of it from being learned. Kind of like the challenge that Mikhail Sergeyevich Gorbachev had when he wanted to convince the world he was getting rid of communism with perestroika and glasnost, except he wasn’t. He wanted to give the illusion of granting liberty and freedom to the citizens while holding onto communism at the government level. You can’t do that. There’s no common ground between communism and freedom. There’s no overlap. And the Soviet Union thus imploded with the misguided efforts of Mikhail Sergeyevich who today remains the most smartest man in the world next to Hillary. No, smartest woman, don’t misunderstand. I was not saying anything there in a hidden way. That is gonna balloon NRA membership to boot. But you’re not supposed to know that. You’re supposed to think that as all of these anti-NRA comments are broadcast, all these shows, all these people, you’re supposed to think the NRA is dying. You’re supposed to think that that camera hog kid is being effective. You’re supposed to think the NRA is cowering and quivering away in the corner, that they’re barely holding on, that the American people have risen and are aware of what a poison the NRA is. The impression you are to draw or to conclude is the NRA is barely hanging on, and it’s the exact opposite. Oh, you can find the news that their membership rolls are bursting at the seams, but you won’t find it in the Drive-By Media. 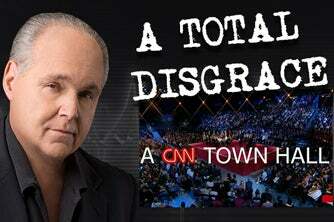 RUSH: I’ll tell you what. This treatment of Marco Rubio by Camera Hogg and the Parkland students and the entire left? There’s another lesson in it. Take a look any Republican or conservative who tries to compromise with the left; what happens to ’em? Look what happened to Richard Milhous Nixon! The last thing in the world the left wants (and particularly in this gun-control debate) is for any Republican to look human, for any Republican to look reasonable. They can’t permit that! 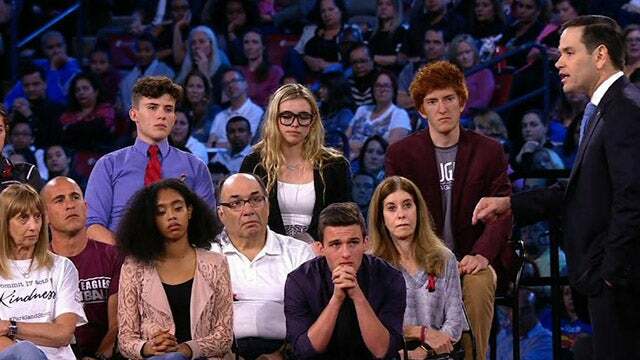 I mean, on that CNN show one of these Parkland students stood up and told Rubio (summarized), “I’m quaking in my boots here. I look at you, and I feel like I’m looking down the barrel of an AR-15.” How do you go from that to making peace with the guy? You don’t! You can’t! Republicans are hated by these people, despised. After they get rid of guns, they then want to get rid of us. Ideologically. They want to eliminate all opposition, folks. There isn’t any compromise. There is no overlap. There’s nothing, right now, that we have enough in common to make any kind of a compromise. Don’t doubt me.